The RSBaraka! Mega Menu functionality is basically a replacement for the sub-menu items of a particular menu item. Instead of displaying sub-menu items, you can opt for loading your desired content or modules. 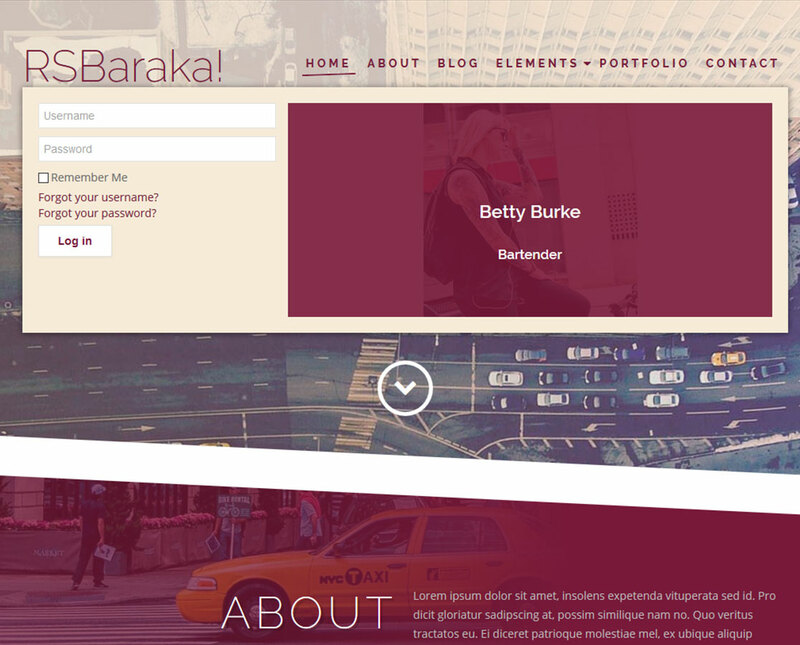 The following "Portfolio" menu item uses the Mega Menu functionality to display a combination of both sub-menu items as well as 2 modules. Important: this will only work on main menu items and not on sub-menu items. Each menu item you add will provide an additional tab for you to setup this, called "Additional Menu Params". Icon: you can choose an icon for your main menu. Enable Mega Menu? : No/Yes - if this is disabled, regular sub-menu items will be shown instead. Visible only on desktop: No/Yes - if this is enabled, Mega Menu will not show on mobile/tablet devices. 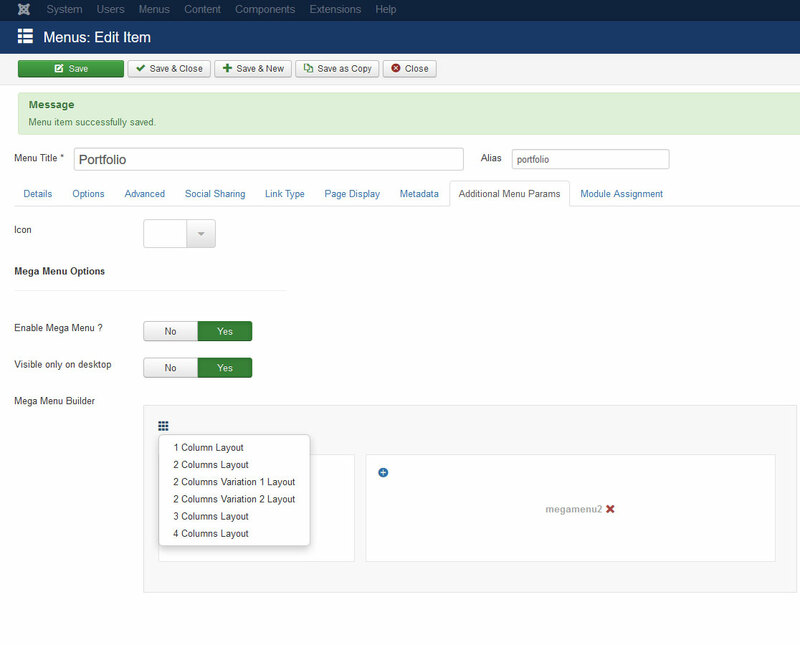 The above screenshot shows the "2 Columns Variation 1 Layout" selected and within each box of the Mega Menu Builder a custom module position was selected. Note that these positions aren't actually part of the template, instead, when you assign a module position, you can also type your own non-existing position. Afterwards, you can select it via the Mega Menu Builder functionality.